GABA is found throughout the central nervous system (CNS), assuming an ever-enlarging role as a significant influence for pain, stress, anxiety, depression as well as stress-induced illness. GABA inhibits the cells from firing, diminishing the anxiety-related messages from reaching the cortex. Research done at The Pain & Stress Therapy Centre in San Antonio Texas has shown pure GABA 750 mg can mimic the tranquillizing effects of Valium or Librium without the possibility of addiction or fear of being sedated. GABA fills the receptor in the brain and feeds the brain what should be there. 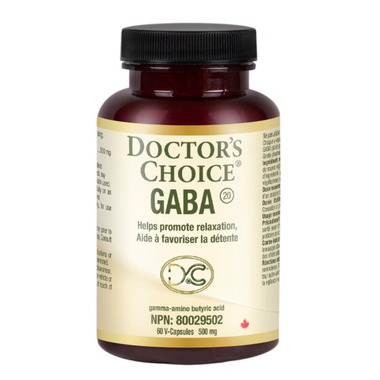 Pure GABA dissolves in water; it is tasteless, odorless, and the calming results occur within 10 to 12 minutes. GABA helps reduce nervousness and promote relaxation; it also helps to reduce sweat rate and maintain body temperature in hot weather. Dosage: Adults: Take 1 capsule daily, for relaxation, on an empty stomach, or as directed by your healthcare practitioner. Take 2 capsules prior to exercise, on an empty stomach, for body cooling effects during exercise, or as directed by your healthcare practitioner. Consult your healthcare provider for prolonged use.